Northwest Green Chemistry enhances human and environmental health by fostering innovation and economic opportunities through sustainable and green chemistry and engineering solutions. The PRoduct Innovation and Social Mapping (PrISM™) framework was created to support product designers in developing products based on sustainable green chemistry and engineering design principles. Learn more about our next steps and current plans. Data collected under Cleaner Air Oregon could be used to eliminate hazardous emissions, not just mitigate them. A team of students mentored by NGC’s Dr. Lauren Heine continues their studies of the safety and sustainability of hempcrete as a building material. How does a car seat find her perfect flame retardant match? Watch the video. We believe that, like us, you’ve witnessed the events of 2018 with a renewed sense of the need to create positive, systemic change in 2019. Whether it was the heartbreaking story of critically endangered orca whales in Puget Sound or the alarming number of toxic chemicals you are exposed to in your home or at work, Northwest Green Chemistry spent 2018 working toward solutions. Read more about our accomplishments in 2018 and plans for 2019. Washington is working to enact laws that protect Puget Sound from toxic chemicals. Part of this work involves identifying sources of contamination which impact aquatic life and ensuring that implementation of legislation does not create new problems. In this report, NGC assessed loading of zinc from zinc oxide from recreational antifouling boat paint for two scenarios, status quo and under the upcoming copper ban. Northwest Green Chemistry and TechLaw, Inc. are pleased to announce the public release of our report, Alternatives to Five Phthalates of Concern to Puget Sound. On June 20th, 2018, Northwest Green Chemistry and its collaborators launched the Roadmap at Raven & Rose in the historic LEED gold certified Ladd Carriage House in Portland, OR. We're looking forward to many upcoming green chemistry and engineering events hosted both by NGC and our partners! In particular, take a look at our events in June in conjunction with the 22nd Annual Green Chemistry and Engineering Conference. We're excited for our in-person roadmapping event on Wednesday, June 20th from 6-8pm at Raven and Rose in downtown Portland. More information about the launch event is posted on our website. Read about the release of the first version of our Green Design and Assessment Tool, our work on criteria and considerations for sustainable plastics with OECD, as well as initiatives and opportunities throughout the community in the full newsletter. Join NGC in Portland June 18-20th, 2018 for the American Chemical Society Green Chemistry Institute Green Chemistry & Engineering Conference! We're looking forward to many upcoming green chemistry and engineering events hosted both by NGC and our partners. In particular, take a look at our events in June in conjunction with the 22nd Annual Green Chemistry and Engineering Conference. We're excited for our in-person roadmapping event on Wednesday, June 20th from 6-8pm in downtown Portland (venue to be announced soon!). Read about our current alternatives assessment work as well as initiatives and opportunities throughout the community in the full newsletter. Join NGC in Reston, VA for the 23rd Annual Green Chemistry & Engineering Conference by the American Chemical Society Green Chemistry Institute. In 2011, the Washington State Legislature passed legislation (Chapter 70.300 RCW, Recreational Water Vessels-Antifouling Paints) requiring the phase out of copper-based anti-fouling paints on recreational vessels less than 65 feet in length by 2020. 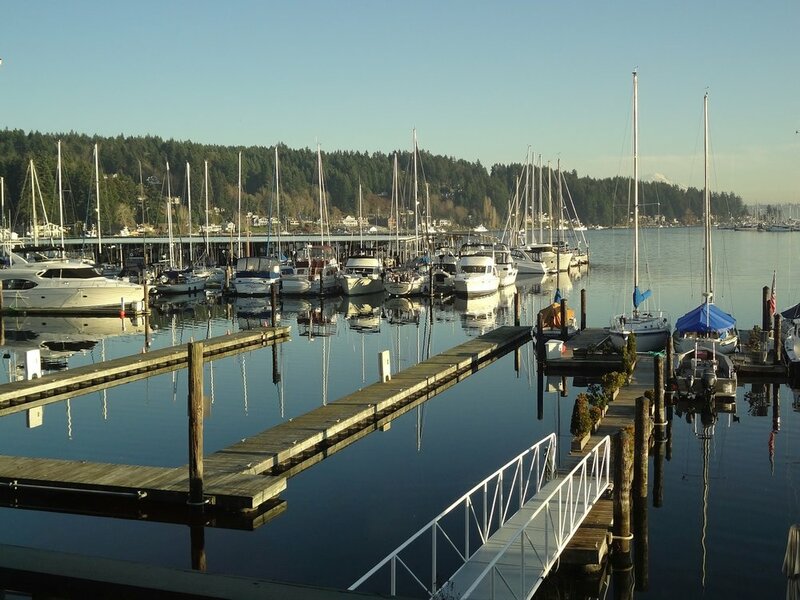 To meet this legislative requirement, Washington Department of Ecology (Ecology) is working with Northwest Green Chemistry to identify and evaluate alternatives to copper anti-fouling boat paints. Alternatives may include both biocidal antifouling and foul release paints, as well as innovative non-paint non-biocide technologies. Get 10% off of your purchase at Tidal Vision with coupon code GREENCHEM, and they will donate another 10% to Northwest Green Chemistry! Tidal Vision upcycles waste from sustainable fisheries into quality products like salmon leather wallets. Their focus on sustainability goes beyond raw materials: their salmon leather is tanned with all-natural vegetable-based tanning oils. Learn more about Tidal Vision. Support sustainable fisheries, green chemical processes, and Northwest Green Chemistry at Tidal Vision with GREENCHEM! Make a tax-deductible donation to support green innovation in the Northwest. We are a project of Social and Environmental Entrepreneurs (SEE). While your donation is processed by SEE, your donation goes to support Northwest Green Chemistry.